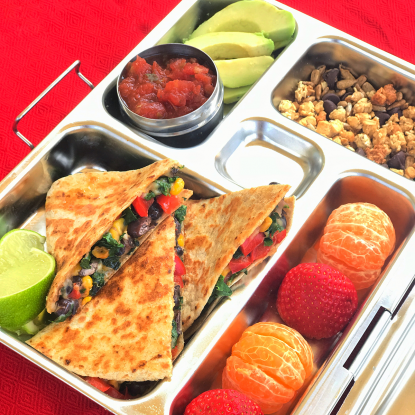 The kids are back in school, but this lunchbox is still on vacation! 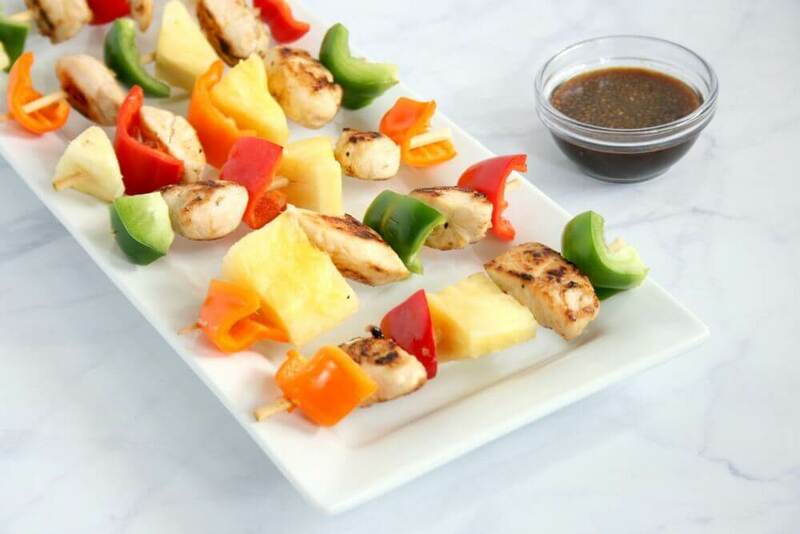 These Pineapple Teriyaki Chicken Skewers are a perfect tropical treat to help ease those back to school blues. Have leftover chicken and veggies? 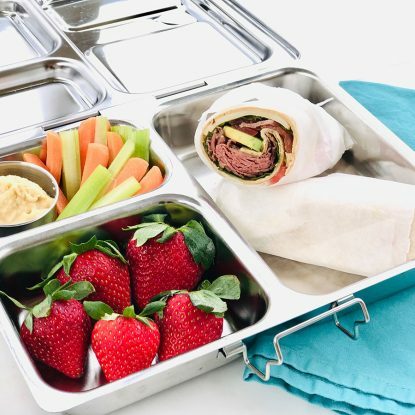 Bring the kids into the kitchen and let them help you thread the pieces onto skewers (or coffee stirs for little ones) for a simple lunchbox meal. 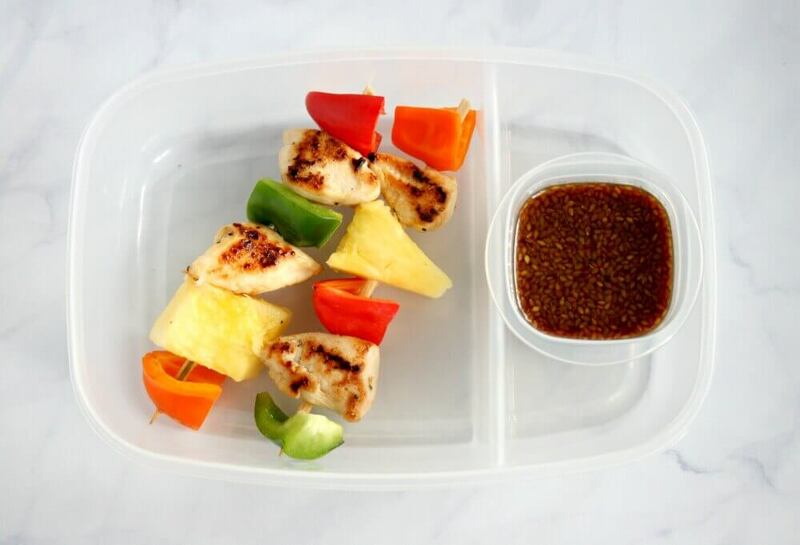 I love the flavor twist to give the skewers some sweetness by adding pineapple and teriyaki sauce. Grill or cook extra chicken breasts on the weekend and refrigerate for up to 3 days or freeze for up to 1 month. When ready to assemble the skewers, cut cooked chicken into pieces. 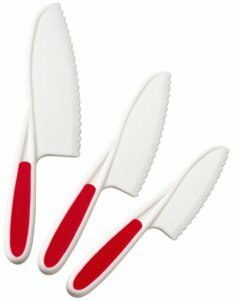 Prep veggies on the weekend by cutting various bell peppers into chunks and storing in the fridge for up to 3 days. 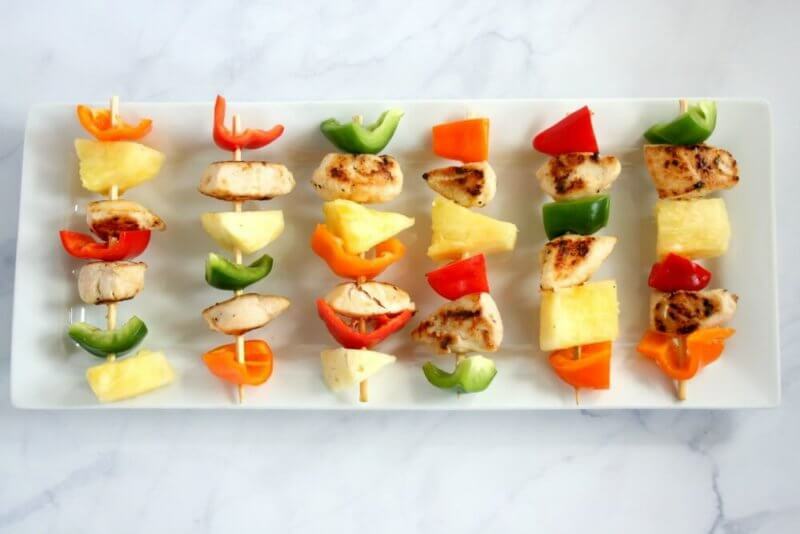 Skewers can be prepped the night before and stored in an airtight container or lunchbox in the refrigerator. Thread chicken, peppers, and pineapple onto a 6 inch skewer. Serve with a side of teriyaki sauce. 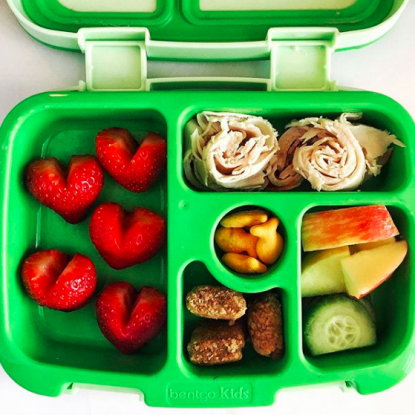 The kids are back in school, but this lunchbox is still on vacation! 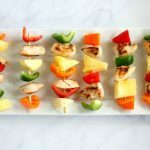 My pineapple teriyaki chicken skewers are a perfect tropical treat to help ease those back to school blues. Helping my kiddos meet their veggie requirements each day has to be one of my biggest feeding struggles. One thing I’ve been doing lately to work in more vegetables is adding them to foods they already love.